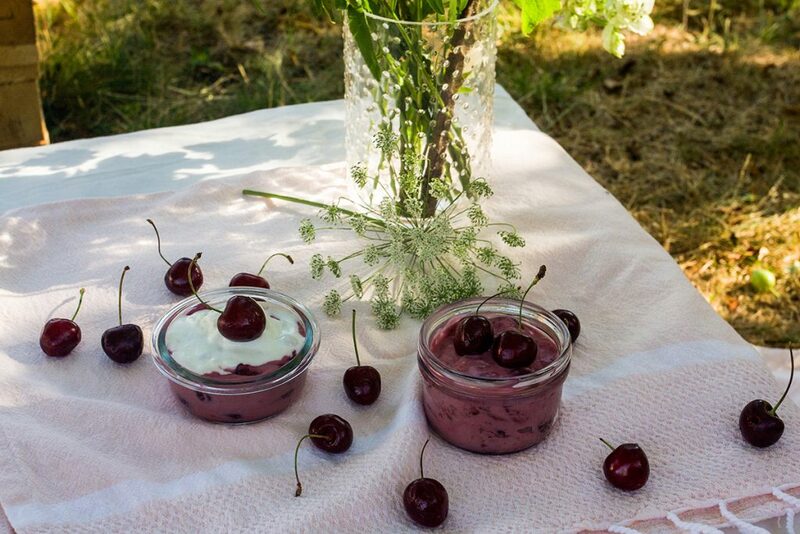 Today I’m giving you a Hungarian summer classic, the chilled cherry soup. Nothing brings me back to my roots as much as this soup. In our family, no one really likes it, except for me and my dad. Which means more to us. It’s a really great way to cool down when the summer is hot and you want something simple. Get it while it cold. 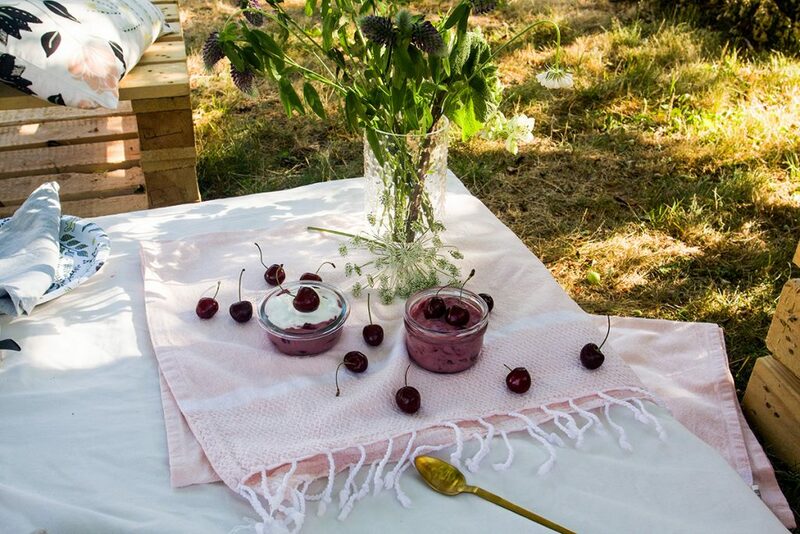 This cherry soup is the perfect way to cool down on a hot summer's day. Pit the cherries and blend with sugar and cinnamon. Let it sit for about 30 minutes. Add water, salt and vanilla and bring to a boil. Add the whipping cream and lime juice and let it simmer for about 15 minutes. Add the cornstarch and stir while the soup thickens. If it's too thick add more water or cream. Chill and eat when completely chilled. 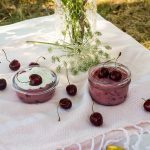 Chilled Cherry – soup or dessert? While this is debatable, I found a way to fix this. I made one chilled cherry soup, which is a little runnier, yet silky smooth. I eat that as an afternoon snack or lunch. Then I made a thicker version, a cherry cream if you will. I just added a little bit more cornstarch and I served it with vanilla ice cream. Problem solved and I don’t have to choose. If you leave the pitted cherries blended with sugar and cinnamon in the fridge. Cover the bowl and leave it overnight you get a more intense cherry flavour. 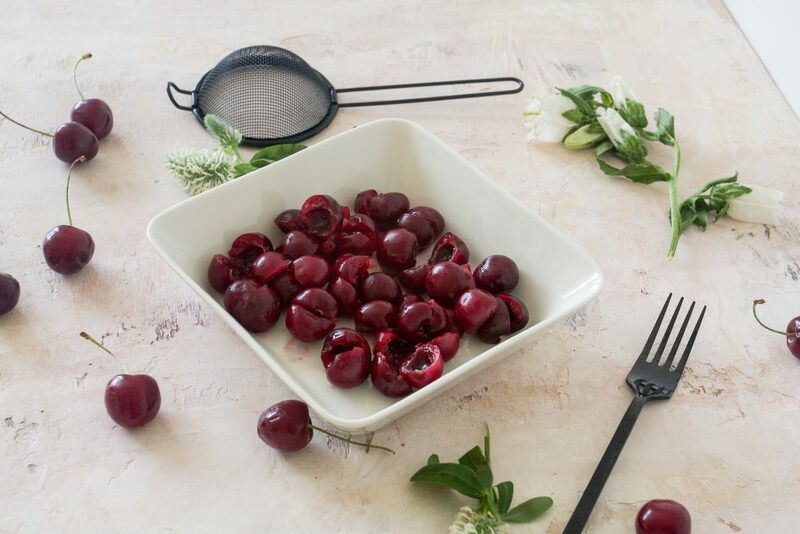 Sour cherries are the best ones to use. If you don’t want to use cornstarch you can use 2-3 tbsp flour mixed with the whipping cream. Stir the mixture in gently. Leave it to cool down properly. It tastes better when it’s really cold. As always I would love to hear from you! Leave a comment or follow me on Instagram.